The Moldovan authorities and the SBU monitored the movement of recruited militants. Five Russian diplomats, whom Moldova expelled last month, worked for the Main Intelligence Directorate of the General Staff of the Russian Federation (GRU), Reuters reported on Tuesday, 13 June, referring to sources in the government and diplomatic circles of Moldova. The expelled diplomats were in fact undercover GRU officers, engaged in the recruitment of people to participate in military operations in Ukraine. In particular, they recruited mercenaries in Gagauzia (an autonomous southern region home to an ethnic Turkish population that is pro-Russian and opposes Moldova's closer integration with the EU). Meanwhile, the movement of recruited militants was monitored by the Moldovan authorities thanks to the information provided by the Security Service of Ukraine, after which three of them were arrested upon the return to Moldova. Previously, Moldova declared five Russian diplomats non grata and ordered them to leave the country within 72 hours. The pro-Russian president of Moldova, Igor Dodon, criticized this decision. In turn, the Kremlin in revenge sent five Moldovan diplomats from Russia. 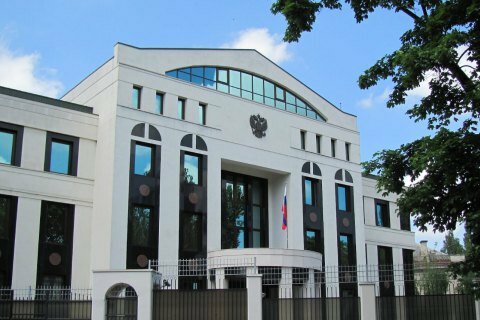 The media reported that the extradition of Russian diplomats was a reaction to a spy scandal involving the assistant military attache of the Russian embassy, Alexander Grudin. It is known that Grudin and his boss, Col. Igor Dovbnya were among the expelled.